The Star-Faced One (2010) is a 6-Channel Sound Installation (60 minute continuous loop). 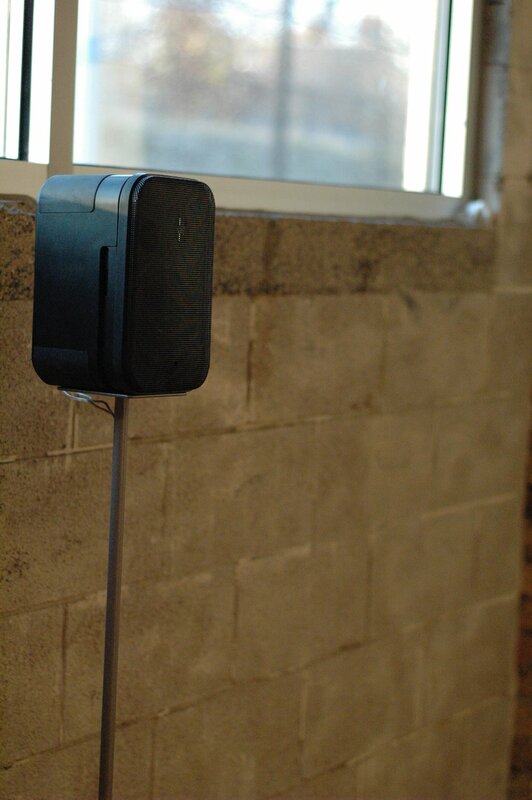 It was commissioned by and first shown at the Audible Gallery at Experimental Sound Studio, Chicago, from November 12-December 19, 2010. A stereo album of the same name was released on Atavistic Records in 2013. Six speakers are arranged in an arc, each independent of the others, yet also interconnected through sound. Sun Ra's voice emerges, reciting poetry through a telephone and onto a tape player and transferred once again to this room--Ra is still traveling through space and time to meet us as we listen. His voice is joined by others: members of the Arkestra, his own ensemble. It is also joined by another group of musicians, who are listening intently to the archival recordings and playing along with, or against, or independently. Through careful and thoughtful listening, and by doing so in solidarity with Ra, yet another layer of music is made. It does not take over, but rather sings side-by-side, allowing the past to be present, and pushing it into new futures. All from the Sun Ra/El Saturn collection housed at the Sun Ra/El Saturn Collection in the Creative Audio Archive at Experimental Sound Studio.